As we head into the holiday season, I’ve been reflecting how best to intentionally spend my time. 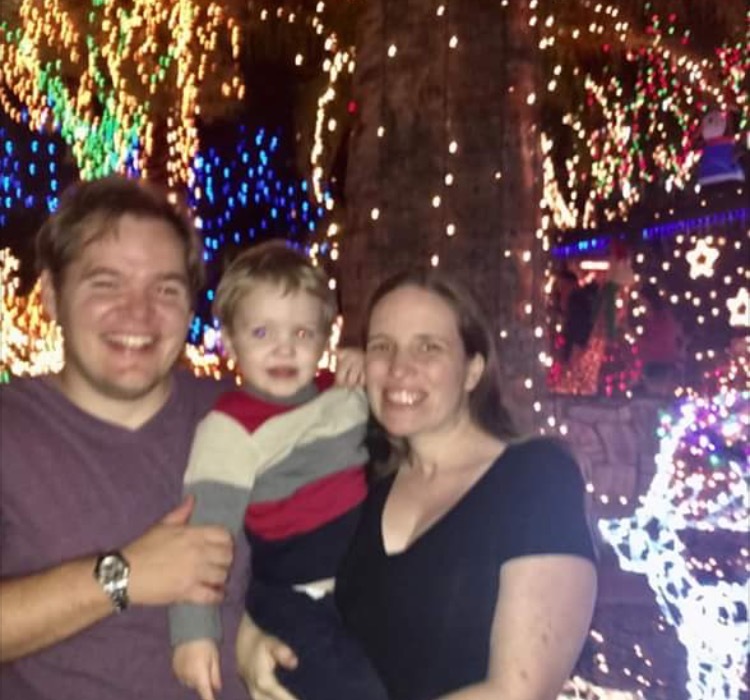 It feels like there’s extra pressure this year to make it special as it’s the last Christmas my son will be an only child and that makes it tempting to try and do ALL THE THINGS. But I don’t want to do all the things and feel the consequences of an already difficult pregnancy under the added stress of exhaustion. And for that matter, I don’t just want the holidays to be the time we’re consciously choosing ways to make memories with our kids. There have been a few things that have helped keep my expectations in check- one is my work with the Cultivate What Matters Shop. When I look at the long game and think about where I want to be when I’m 80 I think about my grandmother and how much I hope to be surrounded by family and friends that I’ve been generous with throughout the years. I think about fond memories I have with my parents which are maybe not the memories they’d expect because they often aren’t from big moments or fancy trips but little, everyday acts of service. 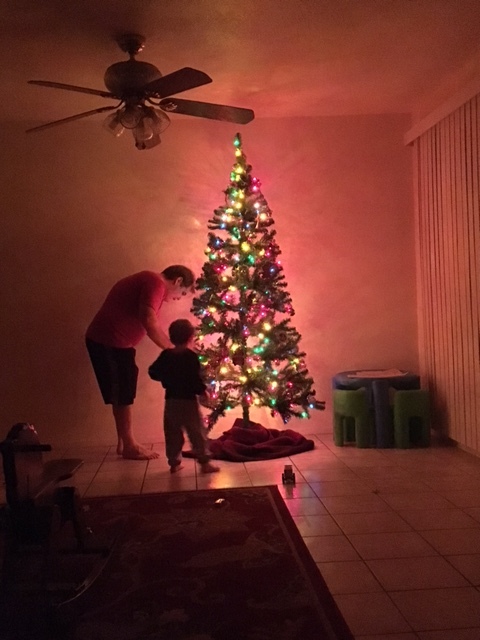 Then, when we put up our small stash of Christmas decorations this past weekend, I watched as the very fact that we had a Christmas tree with lights left my son going “WHOAH!” and “WOW!” and “CHRISTMAS TREE!” for an hour. Just staring at it and being amazed that something so cool existed. It reminded me of this fabulous article from one of my favorite online writers, Bunmi Laditan about how childhood is already magical and it is dead on. I don’t need to plan the most extravagant holiday season. It’s going to be magical watching christmas movies with my son that he’s never seen before, and splitting hot chocolate with him, and walking him around to see Christmas lights, and introducing him to some favorite Christmas songs. He’s, thankfully, still at the age where the expectation of presents is basically non existent and I think we are going to celebrate THAT this year and maybe even save a few gifts for when he realizes that being a big brother means a little less attention from mom and dad for a while. I’ve also been enjoying the everyday memory making with him again now that I’m only sick some days and not every day like I was this summer. I have always loved story time, but it is so much more fun now that he wants to help tell the story with me. I know he won’t remember the exact stories we read, but I hope that he will remember that time spent together and always have a fondness for reading as a connection to quality time and love. I’ve also absolutely loved using him to help me in the kitchen. He’s still into trying to eat everything so I have to be careful with some recipes and how he gets to help, but he loves helping me count out how many cups of ingredients I’ve put in and if it’s safe for him to taste I let him try things on their own before we add them in and we talk about if it’s sweet or spicy or sour. If it’s not a great thing for him to taste- like yeast when we’re making bread- I let him smell it. He LOVES getting to ask to help. 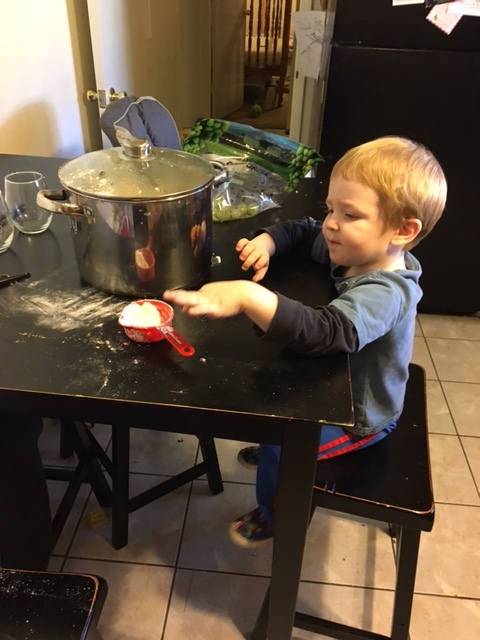 He loves stirring a baking creation or pretending to chop vegetables along with me… and most of the time he REALLY loves the finished product. I’m hoping these memories made in the kitchen will stick with him. My husband is a fabulous cook and I want to pass that skill on to my kids. Merry & Bright… not stressed and over scheduled! Those of you with kids (or nieces or nephews or godkids etc.) Do you have a favorite holiday tradition with them? Something that, if you could only pick one thing to do this season it would be that? What kind of memories are you hoping to make with them in the day to day world? I’d LOVE to hear from you!